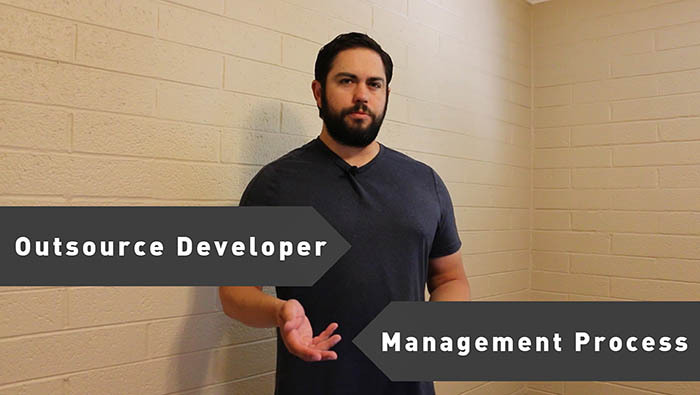 Mondays have a tendency to be stressful, so on Mondays I like to cover a challenging development topic and give a dead simple explanation of how it works in the real world. Today I’m going to discuss how HTTP works, especially as it relates to developers working on building API and service based applications. HTTP is an acronym that stands for Hypertext Transfer Protocol, and at a high level it’s the protocol that the Internet uses to connect users and servers throughout the world. You could probably spend your career learning all of the intricacies of how HTTP works, so I want to focus on the components that are important from a developer perspective. The first key term is the HTTP request. This is what happens every time you go to a new page on a website. If you have made a search on Google you’ve made an HTTP request, it simply means that you’re sending information to a server. Once the server receives the information it has to decide on how to handle the request, which leads to the second key term: the response. An HTTP response is what the server sends back to the client. The client can be a web browser, a mobile phone, or anything connected to the Internet. For a basic workflow, when I search for cute puppies on Google, the term cute puppies is sent as the HTTP request, the Google servers take in the request, and then send back a list of cute puppy links as the response. So how does that help you as a developer? Well, when you’re building service based applications you’ll be sending HTTP requests and receiving responses to fill your application with data. In a mapping application you would send your API keys to Google, along with geo coordinates and be sent back a response containing mapping data so your users can see their location on an iPhone app. For a shopping application you would send billing information to the Stripe API and receive a response back that lets your app know if the payment was made successfully or not. 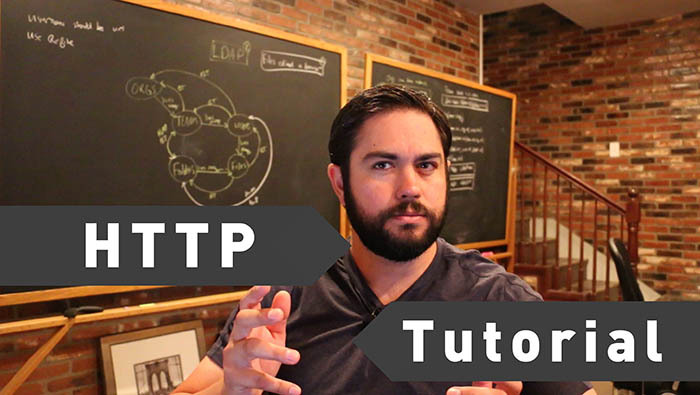 Hopefully this gives you a high level understanding of how HTTP works and how you work with it in development, in the resources section of the post I’ve included links where you can deepen your knowledge of HTTP and how responses and requests are processed. It’s end of the week, which means it’s time for Freelancer Friday. When it comes to working on client projects I’ve worked on applications ranging from apps that I could build in a few days to applications that have taken over a year of development time and involved over a dozen different developers. So what the best way to work with outsource web developers? Whenever I have a large project that requires a development team that I need to bring onboard it presents a series of challenges, such as: do the programmers specialize in the features that need to be built out, will bringing on other developers allow the project to stay on budget, how can I make sure that the code quality meets the client expectations? I could pretend that the outsource web developers I’ve worked with were managed properly for every project, but that would be a horrible lie. In fact I got the idea for this post based on the many times that I’ve had poor experiences managing development teams. Based on my mixed experiences in managing outsource web developers, I’ve built the following system for ensuring that I have picked the right set of developers and that they are producing code that will help make clients happy. Automated testing – whether you working by yourself or with outsourced developers it’s vital that you use automated testing. This can include behavior driven development or unit testing. However this process will help to ensure that all of the features of an application are working and also that new features do not break pre-existing functionality. Daily Reports – depending on the situation that you have with your clients, it’s important that you receive daily reports on the development work performed for that day. If you’re not getting daily updates there is a good chance that no work was performed. Access to applications – If you happen to only be managing the application and not actually developing, make sure that you have proper access. This includes: command line database access, your public keys on the server that the application is being deployed on, and any error logging system such as HoneyBadger or AppSignal. If you’re bringing on an outsourced development team it typically means that your time is limited, however if you follow these three steps it should help your project to be successful. On Thursdays I like to cover technology news and talk about how it relates to developers. Today I’m going to discuss a company called GetHuman and their launch into an industry I didn’t even know existed, the secondary customer service space. At a high level the company started as a directory based application that gave consumers guides to connect with the customer service departments for various companies. This past week they launched a new service that takes it to a new level and you can actually hire them to do everything for you. I recently moved to Arizona and I’m currently researching which internet provider I want for the condo so I went through the steps they have on their site and it’s pretty intuitive and easy to use. After answering a few questions it gave me an estimate that setting up Internet with CenturyLink would take 10 minutes over 3 steps. They give an option to go through the steps manually or pay them $14 to let them handle the process for me. This is a great example of a development team finding a problem spot in the market and building an easy to use solution for fixing it. I’m constantly talking with developers and entrepreneurs who are building a business that’s simply a slightly different version of another successful business, such as “this is an Uber for XYZ industry”. But I like companies like GetHuman because they’re not trying to copy someone else, they’ve seen an issue and they built an elegant application to help make people’s lives easier. Even though you may have not hear of them yet, GetHuman has been around since 2005 and was founded by Paul English, the former CTO of Kayak.com, as a way for his Father, who was battling Alzheimer’s, to have step by step guides for contacting businesses and it has evolved into the service it is today. I’m very interested in seeing how GetHuman grows and especially how they solve the problem of handling issues such as answering confidential questions. However I’m a huge of any service that aims to improve an issue as messy as customer service. On Tuesdays I cover topics related to getting job in the tech industry, and today I’ll be discussing strategies for interviewing for an enterprise software job. If you’re a developer and have worked with startups or freelance clients you’ll find that the world of enterprise software jobs is quite different, in both good and challenging ways. Some of the pros to working in the enterprise software industry is that large organizations typically are stable, have systems in place for development, and allow you to specialize on a specific piece of functionality instead of having to cover the full range of software features. Some of the challenges that are unique to enterprise development are that there is typically quite a bit of red tape for developers, if you’re used to being able to grab any code library and stick it in your application you’ll find that enterprises are pretty picky about what outside libraries you bring in. For example, I was just talking with a enterprise software developer a few days ago who expressed how frustrating it was that it took two months for his company to give him permission to use the jQuery library, which is one of the most commonly used user interface libraries in the application space. So what types of questions should be prepared for when applying for an enterprise software job? Questions about how well you work with formal processes. Depending on the company’s level of formality you’ll most likely need to explain how you have worked with different project management processes such as Scrum, Extreme Programming, and processes such as that. At large enterprises software bugs can cause millions of dollars in damages, so the testing systems are typically quite thorough. With that in mind make sure that you are prepared to answer questions related to unit testing and behavior driven development. Considering that we’re living in a Microsoft based enterprise world, having a solid knowledge of how well you understand ways to integrate with Windows servers, ActiveDirectory, and tools such as SharePoint will be very important. I’ve personally been asked how I would integrate ActiveDirectory single sign on into a Ruby on Rails application, along with how to run Rails on a Windows server during various interviews. And if you know the Rails development system you’ll know that these are not standard requirements at all. Hopefully these four areas of questions will help you prepare and feel confident about applying for an enterprise software job, and good luck with the interview! On Mondays I like to take a challenging development topic and give a dead simple explanation of how it works in the real world. 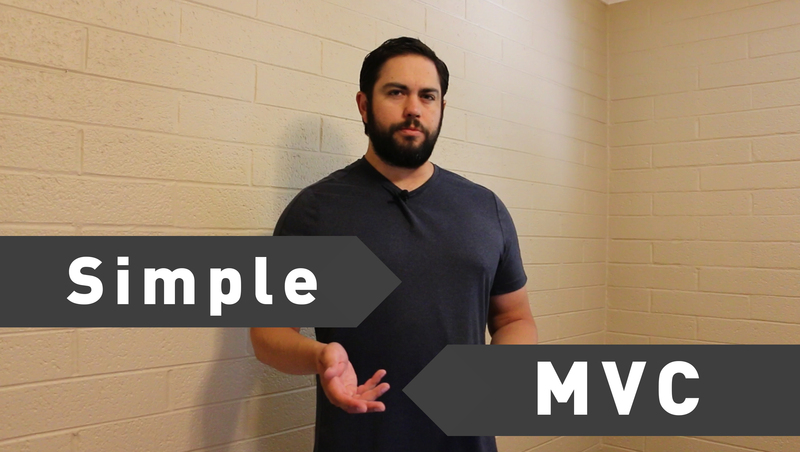 Today I’m going to discuss the Model View Controller Design Pattern, also known as MVC architecture. While the Model View Controller design pattern is used by some of the most popular application frameworks, it’s still a concept that can be confusing, especially to new developers. At its core, the Model View Controller design pattern is a workflow that gives a structure to application frameworks. MVC lets you, as a developer, organize your code in a way that is logical and can also be understood by other developers. Like other topics, I think the best way to understand the Model View Controller design pattern is to break it down into individual pieces, and then putting them together to see how they all work with each other. Model – Starting off with the model component, this is where the application data resides. For example, if you have an invoicing application, the model files will store items such as the attributes for invoices, custom methods such as how an invoice relates to the rest of the application, along with other features such as database query scopes. The model should only be called by the controller and shouldn’t have any interaction with the view. Controller – Controller files manage data flow for the application, they take in requests from the routing engine and coordinates how the rest of the application processes that request. For example, in a sample invoicing application if you go to a page where you can create a new invoice. The controller would register that request, pick out what view should be rendered, and call the model for any data that is needed for the page. In a well written application controller files should not contain very much complex logic. View – Views should be the most straightforward component in an application. The view should simply render the template and display any data passed to it by the controller, it should not have any direct communication with the model, instead it should only communicate with the controller. Imagine the the MVC architecture is a restaurant. The model is the chef, the chef’s role is to get orders from the waiter and make the meals. The waiter is the controller, they take requests from the customer, informs the chef, and brings the meal back to the customer. Lastly the view is the table, it simply holds the meal, it doesn’t have to do any type of complex task besides simply being there. So why is the Model View Controller design pattern important? Imagine if everyone built applications the way that they personally felt code should be created, if new developers started to work on a project, they would have no idea where to even find features, much less how to extend the functionality or fix bugs. With the Model View Controller design pattern a new developer can quickly find where the data files are, how the data flow works, and where to update the view pages. I hope that you now have a more clear idea of how the Model View Controller design pattern works and how you can implement it in your applications. 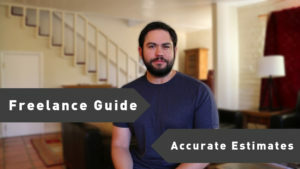 I like to call today Freelancer Friday because each Friday I cover different tips for freelance developers and today I’m going to discuss how to create accurate freelance bids. Being able to give good estimates is one of the most critical tasks you can do as a freelancer, if you quote too low you’ll end up with an angry customer because, even if you did great work, he’s having to pay more than he budgeted. And if you bid too high there’s a good chance you won’t get the job and the potential client will go to a competitor who gave a lower bid. Through the years I’ve been guilty of erring on both sides of the spectrum and I’ve had to deal with the consequences, and they were not fun, which is why I’ve put together a formula that I follow for building bids. Get a detailed drill down of the project requirements, without this you won’t be able to create an accurate bid no matter what else you do. Imagine if an architect had to give an estimate to a client who said, “I want a nice house with a cool fence”, he wouldn’t be able to accurately estimate how much the house would cost to build. An architect will get a detailed breakdown on: square footage, number of bedrooms, along with a list of all of the bells and whistles. In the same way you need a detailed breakdown of every feature that the application needs to have. Put all of the data into a spreadsheet segmented by the categories you created in step two. Does that seem like common sense? Good, because creating accurate freelance bids should be a simple process. If you came up and asked me how long it would take to build a payroll system I wouldn’t have a clue what the bid should be. However I do know how long building a user database will take, and I know how long it will take to implement the design, etc. And by breaking down the project into small, specific chunks I’m now able to feel more confident about how long the individual features will take to build. I also update the spreadsheet as I progress through the project. That way I’ll actually have a guide for future projects, for example if I originally estimated that building a video upload feature would take 8 hours but it ended up taking 14 hours I will be able to more accurately estimate that feature in future projects. I hope that this has been a helpful guide for learning how to systematize your process for creating estimates as a freelancer. I’ve also attached a sample spreadsheet to the resource section of this post that you can use as a template for your own projects. On Thursdays I like to discuss an item in the tech industry and today I’m going to cover something near and dear to my heart: academic literature piracy. The magazine, Science, published a long post this past week that showed that not only is academic paper piracy a growing fad, but it’s reached some significant milestones. In the month of February alone the popular piracy site Sci-hub had over 6.2 million pirated paper downloads. First and foremost, I’m not ever going to ever promote the theft of anything, be it scientific research journals or Taylor Swift MP3s, in my mind you can rationalize it all you want but theft is theft and I don’t see very much grey area in the matter. A practical membership program, aka Netflix for academic papers. Just like the movie and music industry, academia isn’t going to be able to continue charging outrageous fees for access to content that should be freely available and they’ll have to adjust or the rampant piracy is simply going to continue to grow and they’ll eventually be left with nothing. On Wednesdays I like to cover a random topic for developers and today I’m going to talk about how to learn a new programming language. 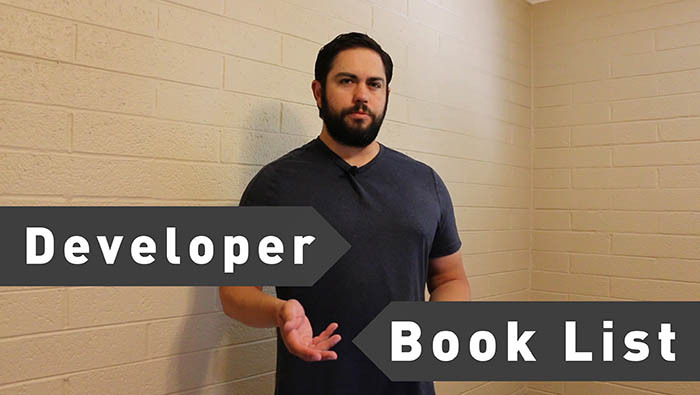 I’ll walk you through the five steps that I use whenever I’m learning a new language or framework. The only language that I really build applications in is Ruby, which means that I’ve been forced to become proficient in a number of language that I really didn’t have much experience working with, sometimes in a very short period of time. And over the years I’ve developed a system for learning a new language or framework and that’s what I’m going to walk through today. 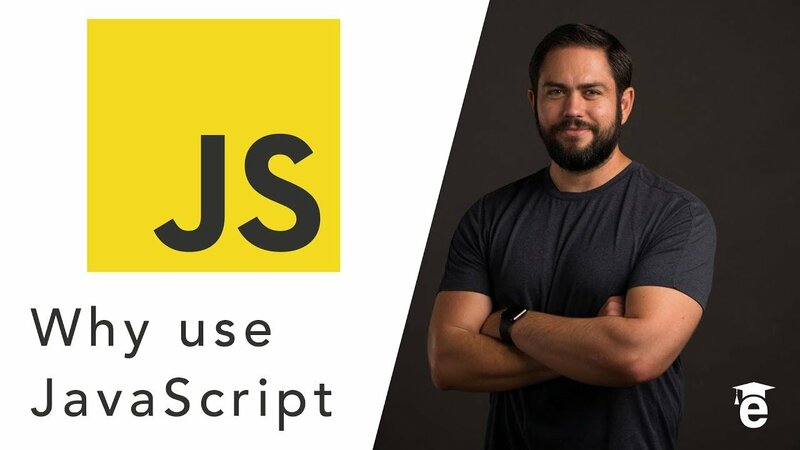 Watch a full tutorial series on the language, when I’m watching I don’t try to follow along, I simply watch what the instructor does in the demos so I can get a high level view of the language syntax and flow. Create a hello world application, I’ll incorporate a few basics, such as running a loop, creating and instantiating a class, and any other high level concepts I remember from the tutorial. Pick out a sorting algorithm and implement it in the language. It’s fine if the sorting algorithm is a basic one like selection or bubble sort. Sorting algorithms force you to use: data structures, loops, variables, and functions. Combining each of these elements will give you a good handle on how the language works. Go through an advanced tutorial on the language and this time follow along and build the programs with the instructor. Go through coding interview questions for the language. Being able to confidently answer these questions will give you a good idea if you have a solid understanding of the language. I’ve used these five steps for a number of languages and I can also tell you, once you’ve become proficient in a single language you’ll find it’s much easier to pick up new programming languages since most of them have quite a bit of shared processes and all you’ll need to do is learn the difference in syntax. I hope these tips will help you learn a new programming language, please feel free to comment with any other methods that you’ve found helpful when learning, and good luck with the coding! Welcome to Interview Tuesday where I discuss different ways to prepare for landing a programming job. If you’re interviewing for a developer position, one of the more intimidating questions that you can be asked is to explain how the Quicksort algorithm works. It’s a popular interview question by companies such as Facebook and Google, so I thought it would be a good one to cover. Quicksort is one of the most popular sorting algorithms used by programmers due to it’s performance and space efficiency. It is not a stable sort algorithm, which means that the original order of the elements is not preserved. As an example this would mean that if you placed multiple 5’s in an array, there’s no way to guarantee that the 5’s will all be in the same order that you placed them in the array after it’s been sorted, as shown here. It is in the category of divide and conquer algorithms. Divide and conquer is a category of algorithm where the main task is broken into a set of smaller tasks and processed before putting all of the components back together at the end. I like divide and conquer algorithms because that’s also how I like to learn, I like to break down a difficult topic into its smallest, most easy to understand concept and then work my way up to advanced techniques. One of the most important items to remember about Quicksort is that it uses a pivot element to partition the data set up into smaller pieces. And it does it over and over again until the full set of values are sorted. I’ve seen university lectures that discuss the Quicksort algorithm for hours, so hitting all of the points in 5 minutes isn’t practical, however all of the items that I’ve discussed should help in a programming interview and in the resource section I’ve included links, including: animations of how Quicksort works, a code implementation that I wrote in Ruby, and some long form videos.